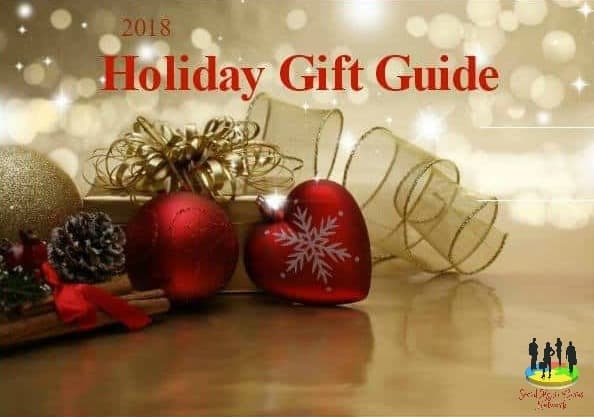 New Year Cheer Giveaway Blog Hop! I’ve partnered up with The Hopping Bloggers in their New Year Cheer Giveaway. But first, I would like to thank my readers with a giveaway. 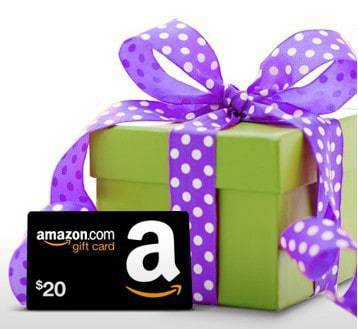 Enter below to win a $20 Amazon Gift Card! After entering the giveaway, please check below for a list of other wonderful bloggers that are participating in the giveaway hop to win more prizes! 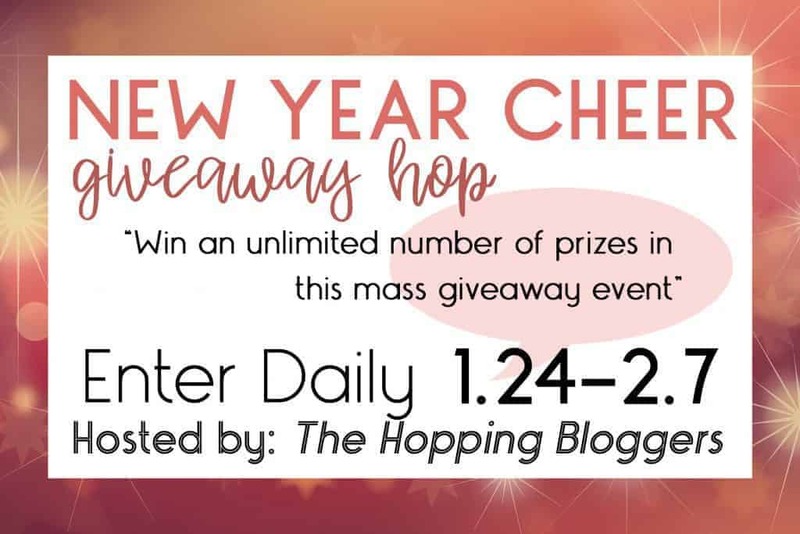 Welcome to the New Year Cheer Giveaway Hop brought to you by The Hopping Bloggers! I’m looking for lots of visits from my granddaughter this year. I am looking forward to my trip to Hawaii! I look forward to our summer vacation. I am looking forward to spending time on our boat this year. I’m looking forward to taking my grandsons to Disney World this summer! I am looking forward to going to NY to see our little grandson. I am looking forward to a family vacation this summer. Thanks for the giveaway! I am looking for summer camping trips. I’m looking forward to my daughter’s dance competition coming up in April! I am looking forward to more travel this year. I am hoping and praying for health and happiness. 2017 was sort of a hard year. I am looking forward to spring and time to start gardening. im looking forward to valentine’s day and upcoming holidays. I am looking forward to warm weather and out door concerts. I am looking forward to going on trips with my family. I am looking forward to a weekend getaway I am taking with my husband for our anniversary! I’m looking forward to our family vacation to Florida! I am looking forward to getting a new job I hope! I am looking forward to practicing my instruments more and making time to do it. We are expecting a baby in March, so definitely looking forward to that! I am looking forward to running a marathon this October! I’m looking forward to baby #3 arriving in April!! He is our first boy and I can’t wait to see what he looks like!! His big sisters are very excited too. I am looking forward to spending more time with my family. I’m looking forward to spending more time with my family as a whole. I heavily suggested the man switch to 3rd shift because ours sons were super upset at not being able to see him much when he was on 2nd. A position opened up that was in a department that was easier on his back and doesn’t have mandatory overtime. So not only do we get to see him more on weeknights like eating as a family, but he also won’t have to work weekends. I lost my daughter a little over 2 years ago to suicide and I have to say, I’ve been living in a fog most of the time since. This year, I am excited to see the best me I can be. So far, I have quit smoking and I have restarted working on my blog. Hopefully, the blog won’t be as depressing now and will start to offer some optimism. I’m looking forward to attending my daughter’s wedding in August. I’m looking forward to getting a big garden planted this year. I am looking forward to the CMA festival in Nashville. I am looking forward to summer! I’m looking forward to start my garden. I am looking forward to my mom visiting this summer. My son graduates from university this year. I’m looking forward to fun with my family. It’s one year closer to next year. My teen graduates high school and we are moving to a new state! I am looking forward to good health; getting fit and taking care of myself. I look forward to vacation. We are shopping for new appliances and doing a mini update on our kitchen, I am really looking forward to that. I am looking forward to summer! I love the warmer weather and my sister and her kids come to visit! I’m looking forward to fishing with my grandson this year. I love the look on his face when he get a fish on his line. I’m looking forward to a great year ahead with my family and camping and day trips. My wife and I are looking forward to our first grand child! I’m looking forward to going on vacation this Sat. I am looking forward to my parents’ 60th anniversary. Im looking forward to selling our house and moving. I am looking forward to planting a flower garden. Thanks. I am looking forward to my oldest son getting married this year. looking forward to an epic roadtrip this summer! i didnt win a trip last year…first time since 2001..how about i win 2 this year.. I am looking forward to some trips I have planned. I’m looking forward to making new friends. I’m looking forward to taking some road trips to visit relatives I haven’t seen in a while. I am looking forward to going to my family reunion this Summer. something i am looking forward to this year is my 30th birthday in april ! and my daughter;s birthday party this saturday ! I am looking forward to summer vacation! I’m looking forward to becoming a mom in June. I am looking forward to a better year. I’m looking forward to a trip to Santa Fe for the opera in July. I am looking forward to taking a road trip for the first time. I’m looking forward to our family vacation this summer. Thanks for the giveaway! I’m looking forward to spending more time with my family this year. I’m looking forward to creating new memories with my family and friends! I’m looking forward to moving next month! I’m looking forward to selling my house and moving! A two week vacation on Lake Michigan in Aug.
I’m looking forward to the birth of my granddaughter. I am looking for a fun family vacation. I am going to be studying abroad in the fall and I am extremely excited! I am looking foreword to a big concert weekend my friends and I are planning in July. I am looking forward to fencing in my property!! I’m looking forward to watching my kids learn and grow every day. Looking forward to my 20th wedding anniversary in June. I am looking forward to spending time with family and making new memories!! I’m looking forward to April 2018, since my daughter and I have planned this trip to Cancun and we have decided to go all out and really make this a memorable trip. We have planned this out for almost six months. It will be fun, hopefully. Getting a new vehicle and moving across the country to be with my best friend! I’m looking forward to getting through this semester in school. I’m looking forward to my job promotion. I am looking forward to my upcoming vacation. I’m looking forward to my niece having twins in May. Thanks for the great giveaway – I’m looking forward to cooking more! I’m looking forward to lots of free restaurant meals for my birthday. the second coming of Jesus.thank you. I am looking forward to visiting Ireland in April. I’m looking forward to one of my best friend’s wedding. I am looking forward to a new granddaughter in June, 2018! I am looking forward to a road trip with my family. It has been several years since we have done one. I am looking forward to my 50th high school reunion this summer! I’m looking forward to a beach vacation this summer. I’m looking forward to some awesome hiking in the Adirondacks !! I’m looking forward to moving. You know, starting a new life somewhere else. I’m looking forward to spring. I am looking forward to summer time!! I’m looking forward to my daughter graduating high school. I’m so excited for her and what the future holds for her. Thank you! Flower & Garden Festival, Food & Wine Festival, and Mickey’s Not So Scary Halloween Party are three things I’m looking forward to in 2018. OMG I am so looking forward to having my home back after having some family live with us for a year and a half. I look forward to my first grandchild being born. I’m looking forward to seeing my daughter graduate from 8th grade. She’s worked so hard! I’m looking forward to relaxing. I’m looking forward to my health this year! I was diagnosed a few years back with an autoimmune disorder, and I have been doing everything possible to overcome it. I was just told my health is making a huge comeback at the first of the year- what a great thing to hear after new years! I am looking forward to seeing my newborn nephew. Im.lookong toward on getting a new house, it’s been long overdue! I am looking forward to more quality time with the grandchildren as they are now all within 3 hours or less away. I am also looking forward to getting more organized so I have more time to play. I’m looking forward to things continuing to get better and maybe even buy a new home. Nothing jumping out as OMG I can’t wait for xyz, bu I am certainly looking forward to continuing watching my children grown and mature. I’m looking forward to reaching my weight goals this year. Thanks for the giveaway! I’m looking forward to enjoying spending time with my family at home and on vacation. I started Weight Watchers so I am looking forward to losing weight and being healthier this year. I’m looking forward to spending time with my twins and starting our life new this year! I am excited about my hubby retiring from the military this year. Getting my son a car!!! Looking forward to riding our bikes with our friends on the bike trail. I am looking forward to finishing the Appalachian Trail. I am looking forward to making lots of money this year. I am honestly just looking forward to spending more time with my mom, niece, and dogs. I am looking forward to a new chapter in my life. The biggest thing that I am looking forward to this year is our youngest’s spring wedding. And now to work hard to get in shape for it. I am looking forward to getting our driveway restoned. Its currently dirt and it gets so muddy! This year I am looking forward to spending more time with my kids and enjoying watching them grow and learn new things. I’m looking forward to my oldest son graduating from High School and starting college at NAU! I am looking forward to going fishing with my kids in the summer and spending more time at the lake. I am looking forward to going to the beach this year. Living in Florida, there are plenty of them around. I am looking forward to doing a kitchen and master bath remodel this year. Looking forward to sunny outdoor weather! I’m looking forward to a family vacation this year. Going to Pensacola Beach. Making family memories!! I am looking forward to getting my plants started soon so that I will have some nice ones to transplant once the weather warms up. IM looking forward to getting my house more organized! That is my NY Resolution. Thanks! I’m looking forward to a new beginning this year. I’m praying that we can finally move this year as well. I am looking forward to getting a new car this year. I’m looking forward to spending more time at the beach this summer. I live near the beach, but never go, so this year I plan on doing so. I’m looking forward to reading more. My grandson starts school this year, so I’ll have more time to read. I am looking forward to taking a cruise with my family this year. I am looking forward to re-enrolling myself in college. I am looking forward to getting moved into our new home, really it is 150yr old, but new to us. I am looking forward to spring, sun and warm weather! I am looking forward to seeing what God has in store for me and my family this year. A new year is full of opportunities for bigger and better things. I’m looking forward to my first grandchild. I am looking forward to summer vacation. Hopefully, we will be going to the Smoky Mountains. I am looking forward to the figure skating competitions in the Winter Olympics. I am looking forward to spending quality time with my family and our pug. We are trying pretty hard to save money this year! I’m looking forward to our trip to Florida this summer to see family and out stop at the beach on the way home! I look forward to spending some time with the family this summer. I’m looking forward to spring! I’m ready for some warm weather and sunshine! I am looking forward to the start of spring and warmer weather! I’m looking forward to moving. I am looking forward to being able to get my business going strong again. I had to pull back last year due to health issues with my husband but now it’s time to get it going strong. My husband and I are both planning to retire in the spring. Looking forward to just not having a schedule. Lots of time to travel and have fun! Life is grand!!!! I am looking forward to going to Disney World this year with my extended family! I’m looking forward to spending more time with my family and relaxing at home. I’m looking forward to going on an Alaskan cruise with my husband this Summer. I am looking forward to going on hikes and doing other things with my family. I’m looking forward to going on a mission trip to Ecuador in September. Thanks. I am looking forward to our summer vacation to Southern Utah where they have five national parks. Looking forward to a healthy year for me and my husband and visiting my new granddaughter in Maryland. Gosh, so many things to look forward to this year. Our summer travel adventures…. out east and also Toronto. But most of all (cause I am a mom) I am looking forward to watching my son feel better and succeed into his new adventure in life. Looking forward to Strictly Come Dancing live next week at the 02 and my holiday abroad! I am looking forward to getting to know my new grandson. I recently adopted a new pup (she’s already one year old now) and am really looking forward to the warmer so I can get her out for long hikes and teaching her more tricks. My two older boys will love going, too! I’m looking forward to the spring and summer this year where I vow to get out more and try to be more active. I’m looking forward to more time with family this year, so precious to me, thanks! I am looking forward to having a nice healthy retirement year for us both and seeing my grandchildren and great grandchildren very often!!! I’m looking forward to warmer weather so I can get the yard ready for spring. What’s something that you’re looking forward to this year? well my house was in rebuild mode for the end of 2017,so i’ looking forward to go back home and start 2018 in my comfy place!!! I am looking forward to travelling to my sister’s in Aussie. I am looking forward to exciting things to happen in science and technology. I am looking forward to planting my garden! I am so looking forward to buying my first house this year. OMG I’ve waited so long. I am looking forward to spending more time with my family who is out of town,. I’m looking forward to a lot of things about spring. The flowers coming back to life and hiking more and being outside are all the things I love about spring. I am looking forward to a wonderful year filled with joy and happiness. I am looking forward to a family trip to Arizona in November. I am looking forward taking a trip with my daughter this summer. I am looking forward to starting my own business with my cousin. I am looking forward to our deck being finished, so we can use our new grill. Something I look forward to this year would have to better health. I am looking forward to spending some camping nights with my dad this summer. I am looking forward to learning to sew and to learn Latin. I am looking forward to seeing my daughter graduate this year and start college in the fall! Looking forward to try to make more money to provide better for my family. I’m most looking forward to spending time with my family! I’m looking forward to the new babies joining my family this year. I am looking forward to finally quitting smoking this year. I honestly want to make this year the time to get my house all together. This Spring my plans to get these Solar panels up and running, work in my garage and start doing some DIY crafts for the house. I have always loved to do things myself and this year I want to get started and back in action! I am looking forward to the birth of my next great grandchild. He is due to arrive by c-section on 2/14, but his mother has been having some contractions, so don’t know if he will wait for that date! I do a charity bicycle ride each year, in July! I am looking forward to our annual family vacation and educational trip. I’m not sure where we will be going, but I know it will be fun. I’m looking forward to our second grandchild being born in August. I can’t wait to spoil him or her! I am looking forward to trying new foods. There is always new ones coming out. What I’m looking forward to this year is finding new and fun spots to go fishing with my brothers. I am looking forward to (hopefully) starting a new job! I am looking for one now. I am definitely looking forward to getting my beach body back this year! I would say that we like to grow our own garden. Something I am looking forward to this year is more traveling. We have a family trip planned in early summer and a couples trip planned in the fall to celebrate our 25th wedding anniversary. I am looking forward to April. My new granddaughter is due then. We are looking forward to a reunion this summer, family & friends, at the beach. This year im looking forward to my 30th birthday in april. i am also looking forward to my little girl starting school !! I am looking forward to the end of winter. Right now we’re under a winter weather storm advisory. Not fun. I am looking forward to sunshine and warm breezes this summer. I am looking forward to meeting my niece next month. She is due to arrive sometime in early March. I’m looking forward to taxes! I am looking forward to my all inclusive vacation to the Bahamas this April! Thanks so much for the chances to win. I am looking forward to seeing a lot of shows. I look forward to finishing up at community college and transferring to a four year college. I’m looking forward to the birth of my granddaughter in May of this year! I am looking forward to summer camping. I am looking forward to camping with my family and friends this summer. I’m looking forward to our annual camping trip this summer with hiking, swimming & boating! I’m looking forward to going to Maine in September. I’ve never been there before. I looking forward to the end of winter. Currently I home from work as we are having a winter snow storm. I just want to feel the warmth of spring and get into my flower garden. I’m looking forward to my granddaughter’s graduation party and all the excitement of going to college. I am looking forward to going on vacation in may!! I’m looking forward to going home to visit my family over spring break! I’m looking forward to seeing my children perform in school in both academics and in everything else. I’m so excited to watch them grow! I am looking forward to flying on a plane to visit with my mom. I am looking forward to seeing my 2 grandsons and being with family and friends. Having our first family reunion at our new house. I am looking forward to getting closets, garage, bedrooms deep cleaned and sparkly as possible with a new coat of paint too! What a fun blog. Thanks for sharing all your info. hoping for great weather this year and fun time with family .can’t wait! I’m looking forward to going to music festivals and spending more time with my boyfriend. We are looking forward to our daughter’s graduation from college. I’m looking forward to hopefully getting pregnant and starting a family. Right now I cannot wait until the snow is no longer on the ground! Over this winter thing. Otherwise I’m looking forward to our family vacation later this summer! I’m looking forward to new opportunities and challenges. I am looking forward in 2018 to getting back to playing my dulcimer now that I have a new one. I can’t wait for the warm weather, so it will be nice enough to get outside for more than a few minutes. I’m looking forward to the possibility of maybe being able to take a vacation, like the beach.